I confess, I do have two tomato plants growing in little pots in the living room. I started them about January 1. They are not doing much, act like they would love some real sunshine. Here with short days and behind glass, they just don't get enough sun. I have put no artificial light on them. They are not liking these conditions. They are spindly and sickly looking. We will see what they do. applestar wrote: For planting shallow, best technique I've tried so far has been to lay the individual containers of seedlings on their sides or at an angle or tilt the tray of seedlings at an angle by leaning it on something for a while before planting. Since it's best to acclimate them to where they will be planted, easiest way has been to make a V-trench in the bed to position them at a desired angle supported by the soil of the trench or -- this is more typical for me -- to lean them/set them against the side of wide raised rows for the last day and night before planting. The tops of the seedlings will naturally respond to the new gravitational orientation and grow upward and "sideways". Good ideas! I guess I got it from my folks that the deeper I plant the more roots the tomato can form. But if it is too cold down toward China then I guess that defeats the purpose. I will definitely use the horizontal method for my mid March planting. I think I will have some spindly plants that should like that method. On another note, I have always used wire hoops made of concrete reinforcement wire. Well, my normal procedure is to push the cage down into the soil around the plant, and turn it a few times to get the cage set into the soil. A few years back I had some crazy spindly plants and needed to plant them horizontal, so I did. I grabbed a cage and went about my normal procedure, twisted the cage and cut right through the tomato plant. Have to be careful with that. jal_ut wrote: I confess, I do have two tomato plants growing in little pots in the living room. OK, so you have beautiful mountain views AND tomato plants! What variety of tomato do you plant? Variety? Better Boy, Celebrity, Sweet Baby Girl. Have also used Early girl. The new one called Celebration Hybrid looks interesting. Have to see if I can find some seed? Here I need to stick with those in the 70 to 72 day maturation date claims. Even the 72 day tomatoes take closer to 80-85 days in this climate and that is about all the frost free time I have. While it's way, way too early for me to even think about tomatoes, squashes, etc I'm starting a few seeds today of the things I have the most trouble with and those that seem to grow the most slowly. Broccoli, Brussels Sprouts and Sweet Peppers. We shall see what happens from here! The rest I'll start near the end of March, when I get home from vacation, and I will probably find an extra large container or two in addition to see if I can manage to grow a pumpkin in a container, even though my chances are slim. I do have to admit that it feels really, really good to get my hands dirty with soil again. Makes me happy. 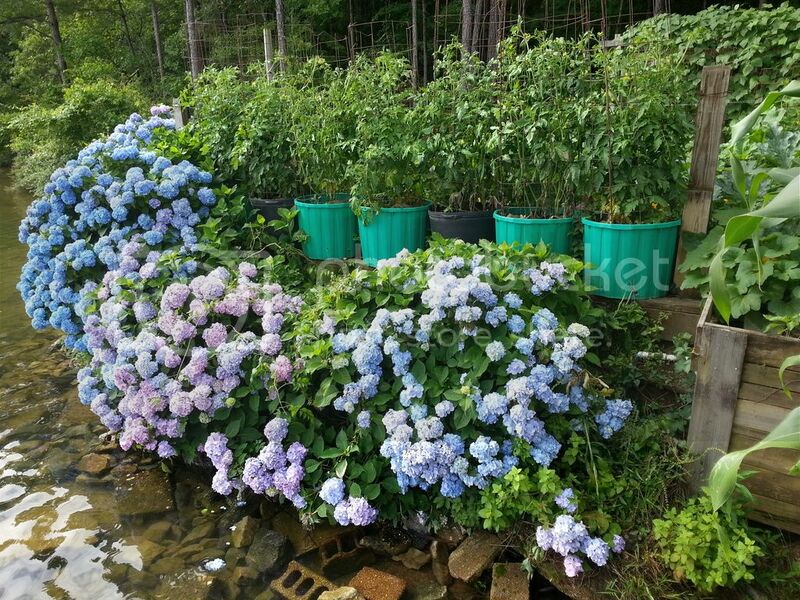 I'm going to see if I can find some prolific, pretty flowers that can take mostly shade and plant them in the raised beds in the back, so it isn't just empty and sad in the backyard anymore. SPierce wrote: After many years of unsuccessfully being able to work my friends not-so-good soil (who owns the house I'm renting a room from) I'm going with all container gardening this year. 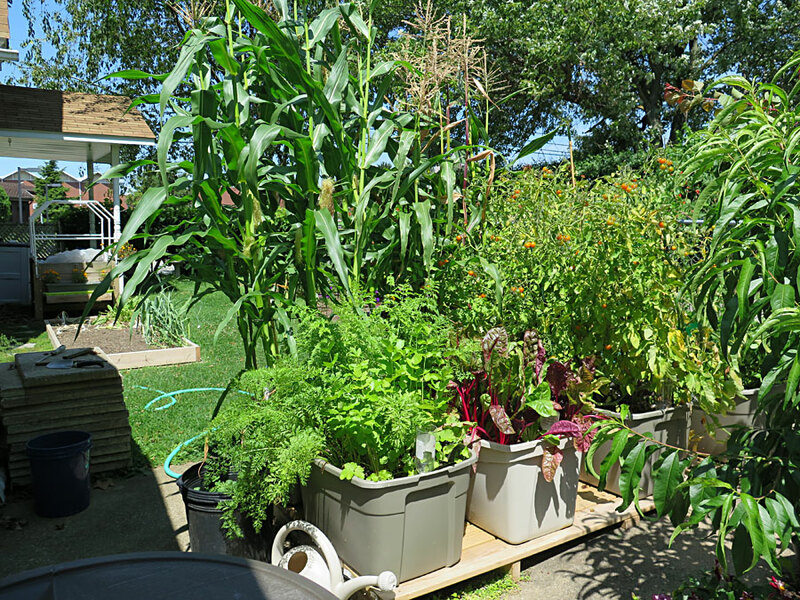 Good luck with the container gardening. I have some large tubs that came from a farm nearby. They were used for a protein lick block. They have worked well, but even, consistent watering is a challenge. Looks lovely! A lot nicer than mine (admittedly) is going to look! He doesn't have a lot of landscaping, and neither of us have a lot of time to do yard related things... What size are your containers? I luckily haven't had much of an issue with watering, and the things I've tried to grow in these in the past have never had a problem. More likely to be killed by bugs than water, but how do you water them typically? Great to see you back @SPierce! Looking forward to hearing about your garden this year. ...and I know what you mean about playing in the dirt. it's my therapy for sure. applestar wrote: Great to see you back @SPierce! Haha you might want to look in these threads -- see what you miss when you are away for a year? Subject: What Can I Grow In a Container? albopepper wrote: I had good success in my 1st year with corn. I'm gonna do it again this year! applestar wrote: Haha you might want to look in these threads -- see what you miss when you are away for a year? OMG. I am so, so, SO doing that! I am I am! 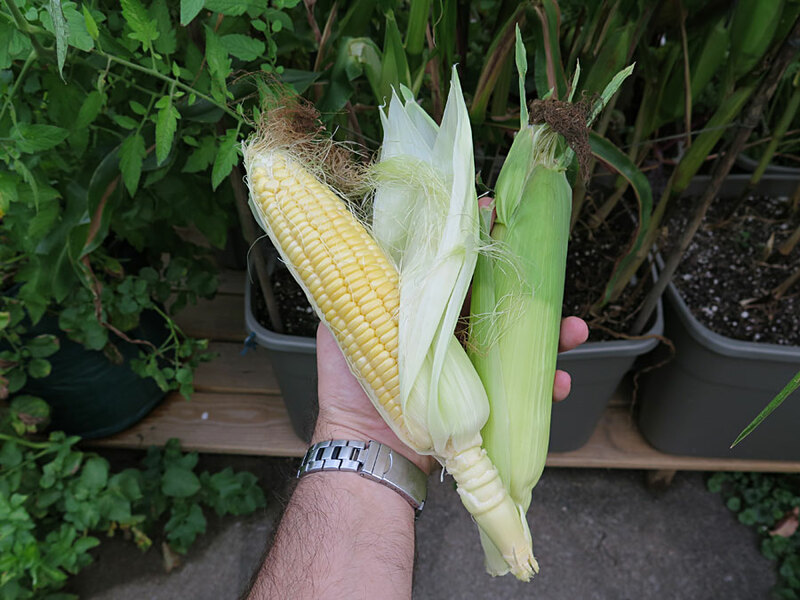 I've bought corn seeds in the past, but the spacing requirements for them always was so far apart, I couldn't fit them in the containers I had. Now that I know it can be done, though, I totally need to try! Thank you for pointing that out! SPierce wrote: OMG. I am so, so, SO doing that! I am I am! 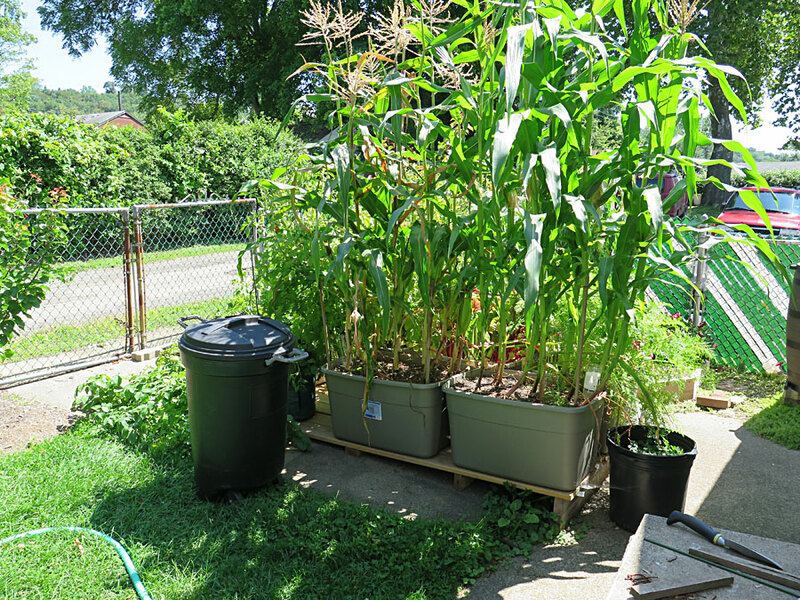 I've bought corn seeds in the past, but the spacing requirements for them always was so far apart, I couldn't fit them in the containers I had. Now that I know it can be done, though, I totally need to try! Thank you for pointing that out! I planted my first corn of the year today. I planted UH #10. They were 2015 seeds so I am hoping they are still good. I will find out in about a week. My beets are starting to bulb up and the onions are growing. I am harvesting Suyo cucumbers and my kai choy cabbage is definitely ready. I am still getting some napa grapes and my new tomato seedlings are in flower. I was getting a bit worried because my seeds had taken so long to germinate, but it looks like now the cucumbers are coming up. The colder nights this month has slowed things up a bit. I took some bay leaf cuttings the other day and the calamondin and lemon trees are starting to flower and flush. imafan26 wrote: I was getting a bit worried because my seeds had taken so long to germinate, but it looks like now the cucumbers are coming up. The colder nights this month has slowed things up a bit. I took some bay leaf cuttings the other day and the calamondin and lemon trees are starting to flower and flush. What, to you, is the definition of "colder nights"? I actually ran my heater in the green house a couple of nights recently because our temps were near freezing, and I have some tomato and pepper plants that I did not want to suffer. Greenhouse is not so air tight so hard to heat, but a little one burner propane heater did ok. When I went out to turn it off the outdoor temp was 36 and inside the greenhouse was 50. I tend to keep the plants nearby eachother, but all in separate pots. 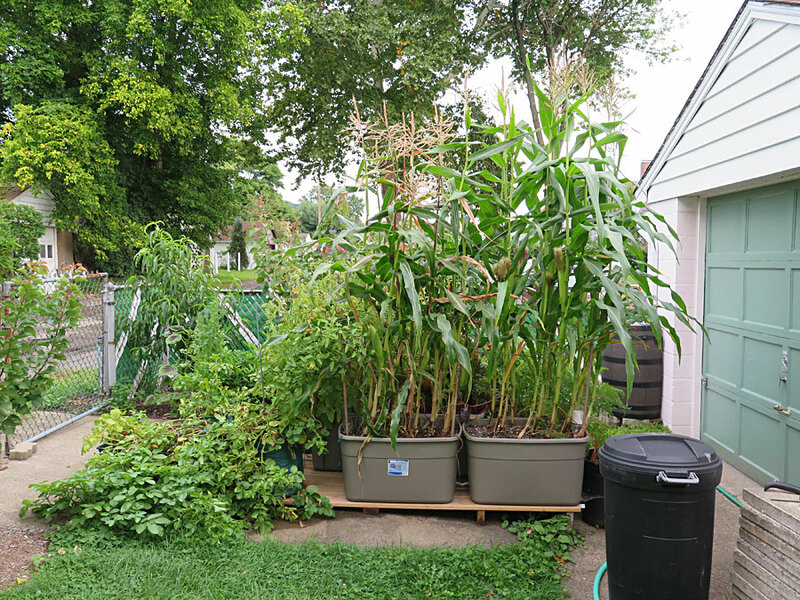 Still on the search for a largeish container where I can plant multiple corn stalks. We'll see!